I had no clue what we were being invited to Nintendo's Tree House for... but holy crap, I didn't expect for us to have an offer to join the Nintendo family. Reggie respects the fact that i'm not going to bite my tongue (because that would hurt, but secondly) because... they need an unbiased addition to the team that keeps them on their toes. That's what made me comfortable with it... but we're still waiting for our lawyer to look over the paperwork. Our main focus would be Nintendo-Demand at Nintendo.com/NintendoDemand, and Nintendo Miiverse. We won't be able to talk about other platforms after things are final, but a lot of huge things are coming... we can't say anything about Nintendo NX but I almost (literally) pissed my pants. This is a refreshing Nintendo Direct... enjoy! REDMOND, Wash.--(BUSINESS WIRE)-- The wonder of Nintendo meets the wonder of, well, WonderCon! Nintendo is heading to this year’s WonderCon at the Anaheim Convention Center from April 3 to April 5 with a host of fun games and activities, including hands-on time with Splatoon, as well as a variety of games on the New Nintendo 3DS XL system, an interactive amiibo tournament for fans and fun giveaways. 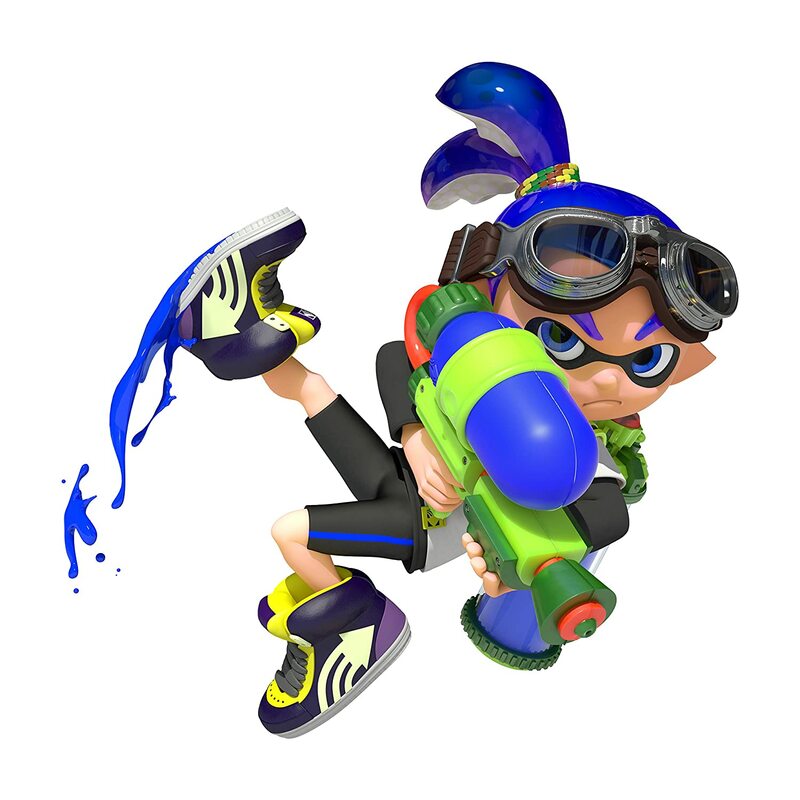 Those that want to get early hands- and tentacles-on time with the Splatoon game will have a great opportunity to do so at WonderCon Anaheim. The upcoming Wii U action shooter will be playable at the Nintendo booth, giving attendees a chance to get a taste of the frenetic and fun multiplayer mode in the game. Fans who can’t attend WonderCon Anaheim are also invited to get in on the fun by checking Nintendo’s social media channels during the event for details about chances to win fun Splatoon prizes from home! More information about these giveaways will be provided at the time of the show. Starting Friday, April 3, at 2 p.m., the first of several amiibo tournaments will commence at WonderCon. Fans are encouraged to bring their favorite (and most powerful) amiibo figure to the Nintendo booth to enter it into an amiibo tournament featuring the Super Smash Bros. for Nintendo 3DS and Super Smash Bros. for Wii U games. Each competitor will sign up to enter his or her choice amiibo into the tournament participant pool on a first-come, first-served basis beginning one hour before each tournament start time. Thirty-two players will be chosen at random for each tournament session from that tournament’s participant pool. Winners of this tournament will win a variety of different amiibo figures, with those coming in first place receiving the Mario – Gold Edition amiibo figure from the Super Mario series. Additional amiibo tournaments are currently scheduled for Friday, April 3, at 5 p.m., April 4 at 11 a.m. and 4 p.m., and April 5 at 11:30 a.m. and 3:30 p.m. More information about the tournament rules and regulations can be found at http://www.nintendo.com/corp/wondercon-SSB-amiibo-tournament. On Sunday, April 5, at 1:30 p.m. in Room 300DE, Capcom is hosting a developer panel about Monster Hunter 4 Ultimate, featuring director Kaname Fujioka and series executive producer Ryozo Tsujimoto. The panel will highlight exclusive insights from the game, and will include an audience Q&A session. WonderCon attendees can also visit the Capcom booth, which is directly adjacent to the Nintendo booth, featuring a themed caravan experience based on the world of Monster Hunter 4 Ultimate.